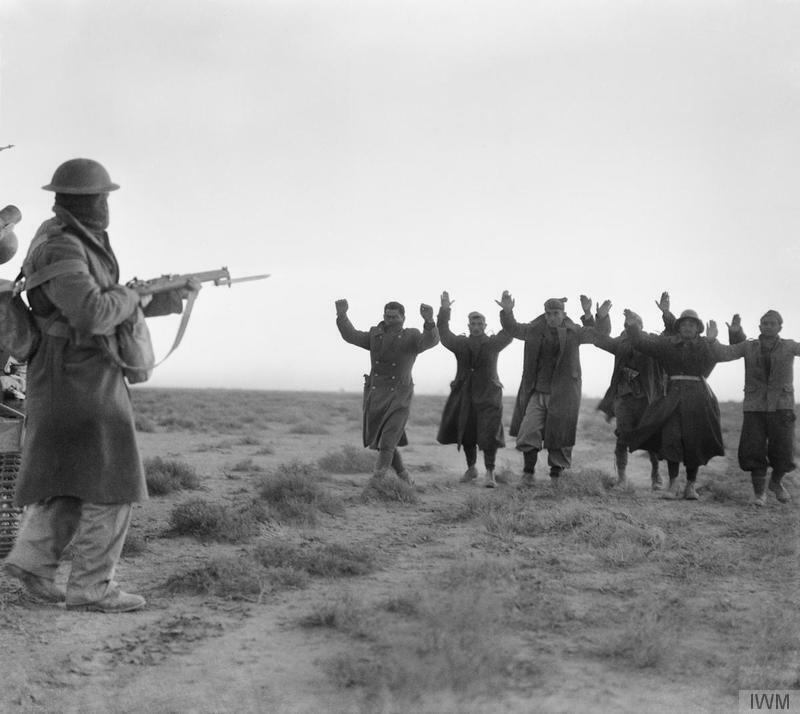 IWM E1580: Italian soldiers surrendering to an Australian infantryman during the attack on Bardia, Libya. As we enter 2016, the 75th Anniversary continues and as such I have decided to launch a new part of WW2 Revisited called ‘WW2 Plus 75’ which over the course of the next few years will look at some important milestones in Second World War history using contemporary images. For 2016 we are 75 years on from 1941; sometimes a forgotten year in British Military history but it was a time when Britain and the Commonwealth stood alone against the Axis forces, and a period of heavy fighting in North Africa and South East Asia. It was also the year in which Hitler went East and WW2 Revisited will be marking the 75th Anniversary of Operation Barbarossa in June 2016. 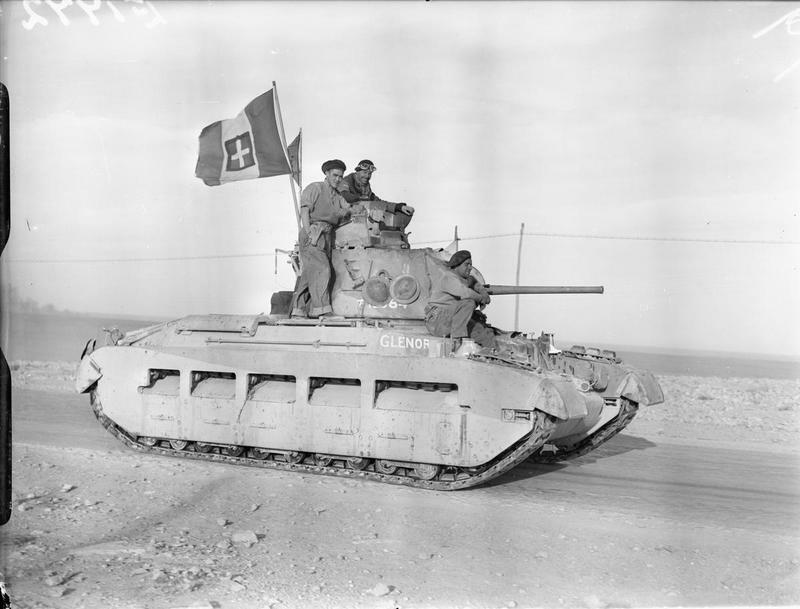 Imperial War Museum E1772: A British Matilda tank on its way into Tobruk, displaying an Italian flag, 24 January 1941. Over the next couple of months the site will focus on North Africa using the many excellent online images provided by the Imperial War Museum and also from a superb contemporary book published in 1942. Britain At War: The Army From January 1941 to March 1942 was written by Major E.W. Sheppard OBE MC and while it was published under the umbrella of wartime censorship it gives a good account visually of the army in 1941, and indeed the war on a wider scale. I will be using material from this book as part of these posts, as it reproduces well (see below). 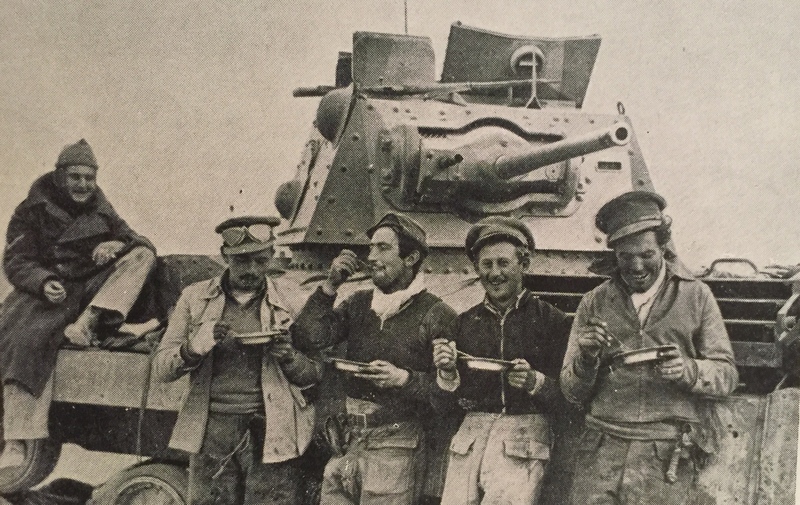 British Tank crew in Libya 1941. Keep an eye on the website in 2016 as I plan to publish at least one of the WW2+75 each month. You can subscribe to the blog below.